Recently, I ran into a little gem in quite a refined book store in the Dutch city of Arnhem. 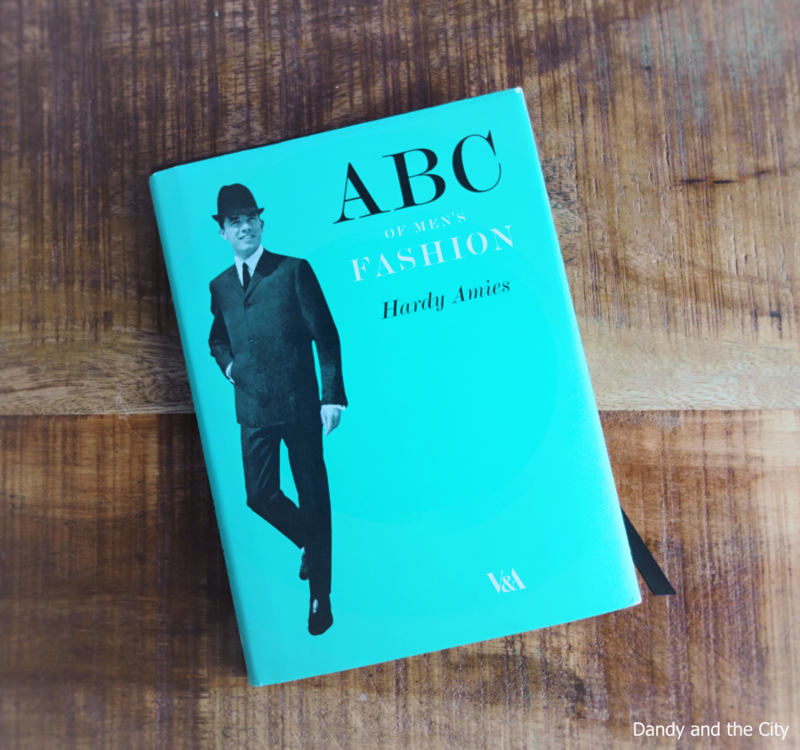 At its second-hand section I found an book called “ABC of Men’s Fashion” by sir Hardy Amies, which was published by the Victoria & Albert Museum. 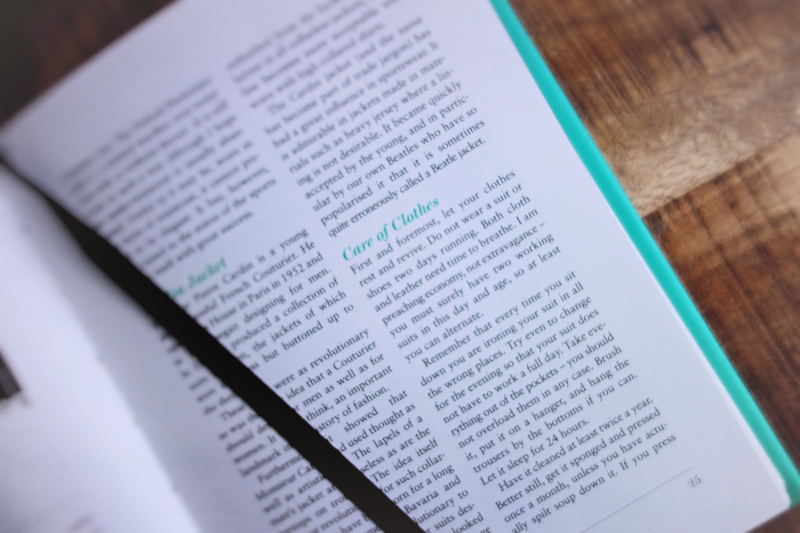 The book – for all men – is an alphabetical guide for a (gentle)man’s appearance. Although first published in the 1960s – the 1970s still had to come – Hardy Amies denounces the decay in the appearance of men. For us beyond the 1970s this book should be a guide to rediscover that fashion is masculine too. Every extra attention by a man to his appearance should be encouraged. The Arnhem book shop Het Colofon is a book store that absolutely would fit as a book vendor for the gentleman. In some future posts I will take one item from the book to discuss on the blog. We still can learn sir Hardy. I’ll start with a rather important issue, namely the care of clothes. How often do we throw our clothes on the ground every night before bedtime? And putting them on the next day as if nothing happened. Or are we ignorant of the washing temperature? Are the shoes properly polished? Aren’t we ignorant of how we take care of these delicate products? Yes, says Hardy Amies. Our care of clothes needs improvement. We should mind how long and how often we wear the same clothes. And our shoes. Of shoes and suits he says:” Do not wear them two days running. Both cloth and leather need time to breathe.” According chief-editor of the Dutch Esquire Arno Kantelberg shoes need to ventilate for at least 24 hours. This means a man should own at least two suits and two pair of shoes. And we should not wear them two days successively. This is different from what I learned from my mother. I’d wore the same set of clothes for a couple of days. I start to think the reasons was she’d less washings to do. Hardy Amies argues that the reason for changing clothing every day is an economic one. A pity he doesn’t elaborate further on that. Of our suits he explains: “Remember that every time you sit down you are ironing your suit in all the wrong places. Try even to change for the evening so that your suit does not have to work a full day”. Duly noted. As of shoes he urges us to polish them regularly, to watch to soles for wear and let them repaired when anything of our shoes gets damaged. Arno Kantelberg on shoes: shoes are a man’s foundation, we shouldn’t take them lightly. And yes, good care saves a new set of shoes. Sir Hardy James has his focus mainly on suits. Obvious of course because suits were more generally worn than today. I think however that his remark also apply to all of our clothes. We should handle them with care. Not just because clothing keeps us comfortable and even shiny. It takes a lot of effort too to make them.